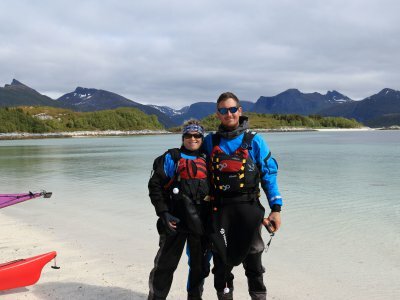 Hello, we’re James and Dympna, partners and co-owners of Ontario Sea Kayak Centre. 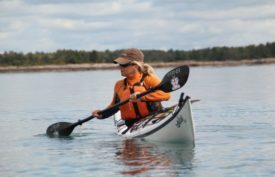 Before we ever met, we each fell in love with kayaking for the same reason, the remote, pristine and awe-inspiring places a kayak could take you. 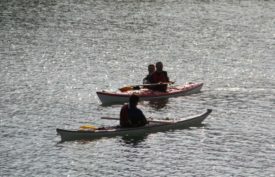 We both wanted to spend our life kayaking and sharing our joy of discovery with others. 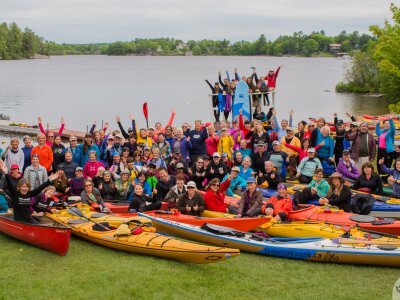 We started OSKC over ten years ago, after we met while kayaking and training on Lake Superior. 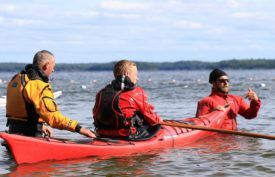 Ontario Sea Kayak Centre is now one of Canada’s leading sea kayak schools with instructors who are as passionate as we are. 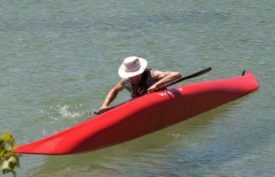 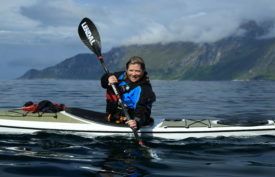 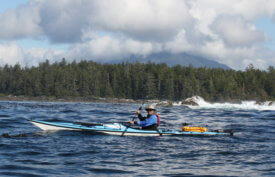 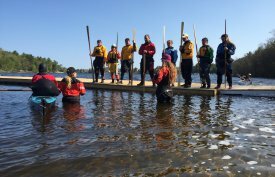 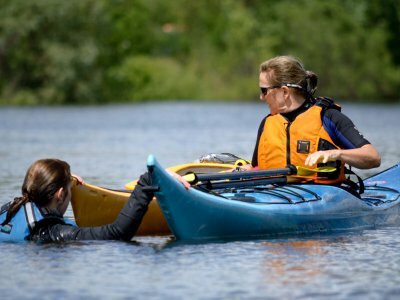 We teach Paddle Canada skills courses and have a course that is right for paddlers of all experience levels. 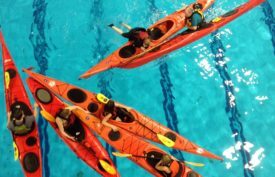 In the early spring we teach kayak rolling and rescues in indoor pools across southern Ontario. 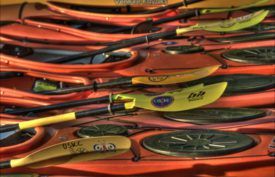 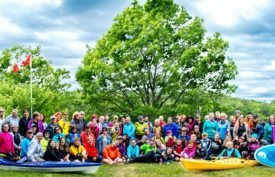 June is when we host our annual spring kayaking tune-up event Paddlepalooza and North America’s largest women’s-only paddling event Women on the Water. 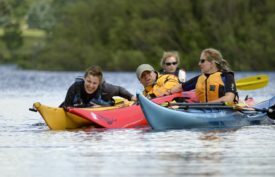 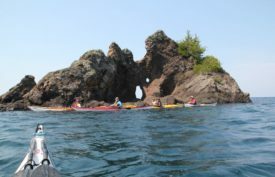 During the summer months, we host Paddle Canada kayak skills courses in multiple Ontario locations and offer guided sea kayaking adventures in our Province, Nationally and Internationally. 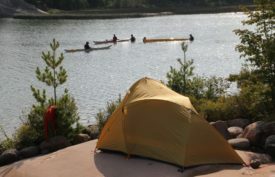 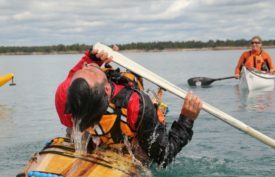 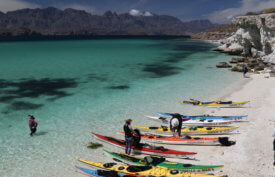 In September we run Canada’s longest running traditional paddling event, Ontario Greenland Camp. 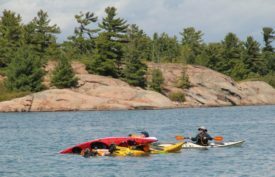 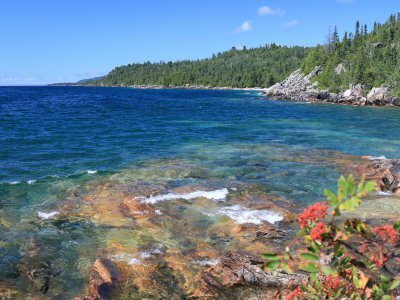 When we had a base of paddlers who were ready and excited to head out on a trip, we started offering guided trips to our favourite places on the Great Lakes. 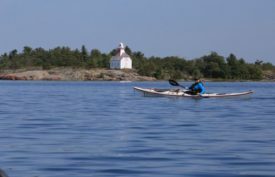 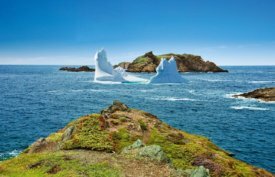 We continued to expand our trip offerings and we now offer trips across Canada from the East Coast to the BC Coast, to our pristine Northern waters. 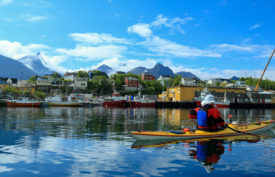 Internationally, we travel to Norway and Baja to explore the culture, mountains and ocean waters of these unique lands. 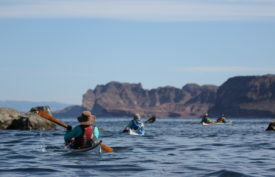 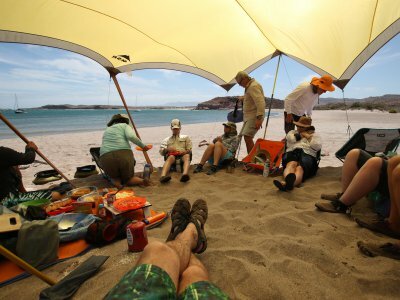 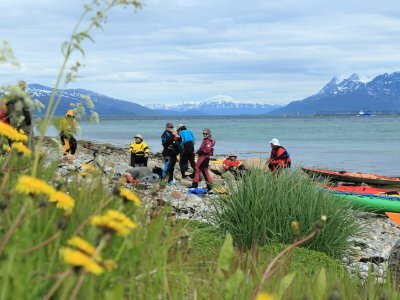 We are certified, skilled and passionate guides who love nothing more than sharing the most breathtaking paddling trips we know of with our guests. 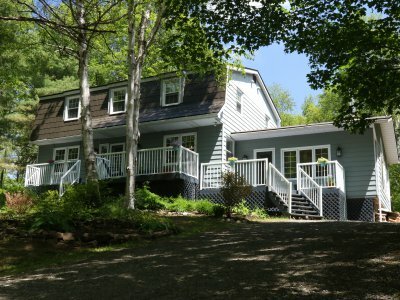 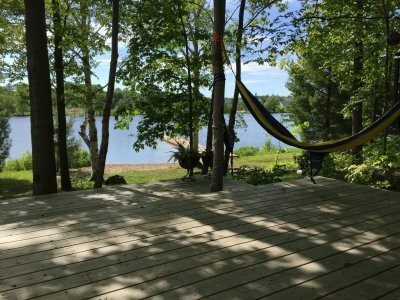 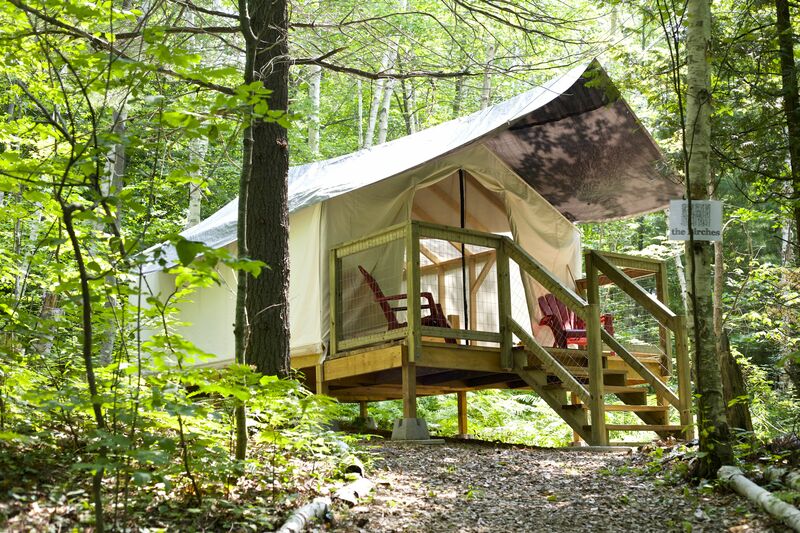 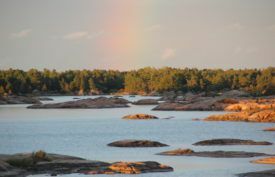 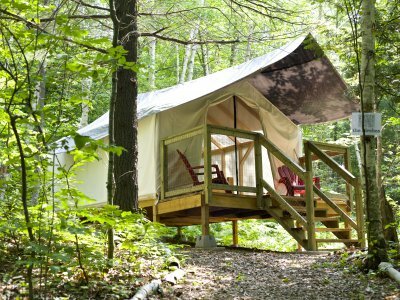 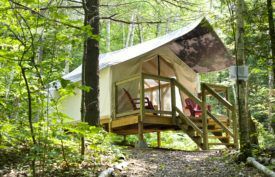 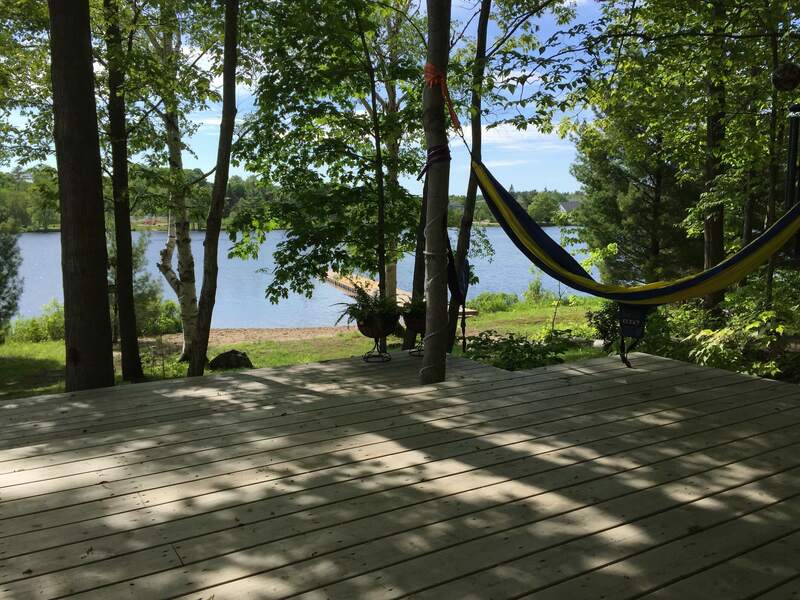 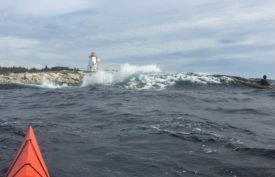 Our home base is in Parry Sound, Ontario (2 hours north of Toronto) where our sister company, Harmony Outdoor Inn, offers luxury camping (glamping) and a high-end bed and breakfast. 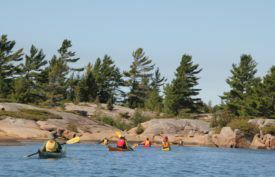 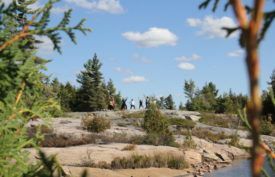 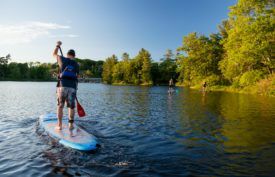 Harmony Outdoor Inn is located on a 16-acre wooded, waterfront location where we also offer paddling courses, Georgian Bay day-trips and private skills development. 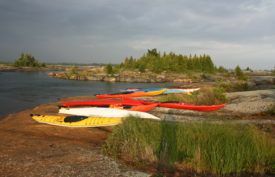 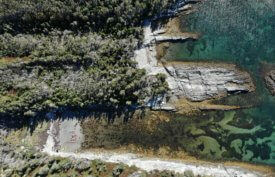 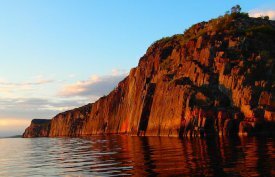 Harmony Outdoor Inn is also the perfect location to base yourself to discover paddling in the 30,000 islands of Georgian Bay.